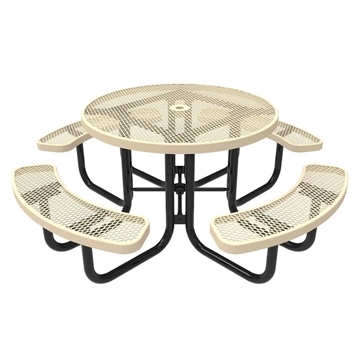 46" RHINO ADA Accessible Octagonal Thermoplastic 3-Seat Picnic Table with Portable Frame, 229 lbs. 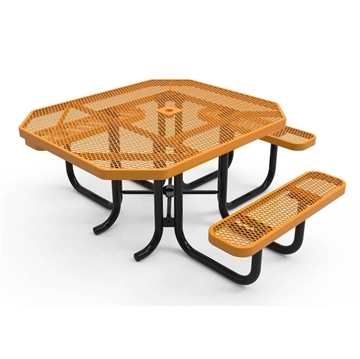 10 Ft. RHINO Rectangular Thermoplastic Picnic Table with Portable Frame, 388 lbs. Picnic Furniture seeks to deliver quality and value to our customers with our signature commercial RHINO series. Furniture Leisure, the parent company of Picnic Furniture, has partnered with Robert Webb, the father of thermoplastic outdoor furniture to present a quality line of outdoor furniture for our customers. 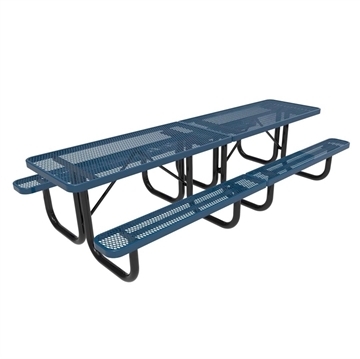 These high-quality picnic tables are made with a proprietary thermoplastic coating like nothing else in the industry today. We use a Polyolefin thermoplastic coating over American sourced steel. Our exclusive picnic tables are vandal resistant and heavy duty to withstand years of commercial use. Not only is this new line of picnic tables commercial quality, but it is also budget friendly. 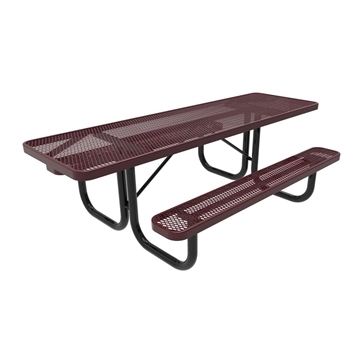 RHINO picnic tables not only provides the best quality picnic tables, benches, and trash cans as well. We have a large selection of outdoor furnishings to accommodate your needs. Whether you are furnishing a park, school, residential community, hotel, or any other venue, we have the outdoor site furnishing you need. 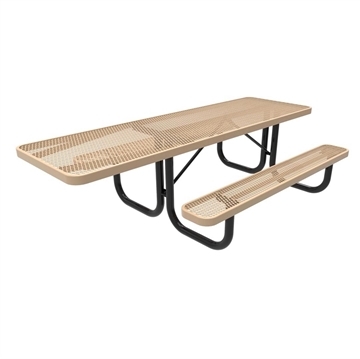 Call Picnic Furniture today for more information on quantity discounts and savings on shipping costs for our RHINO products.